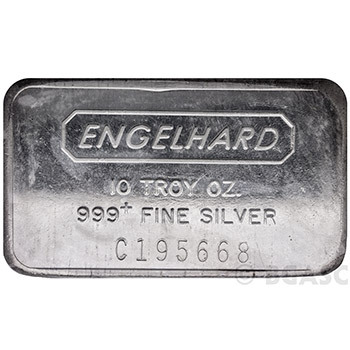 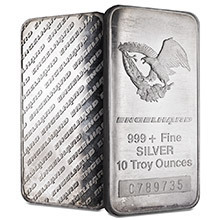 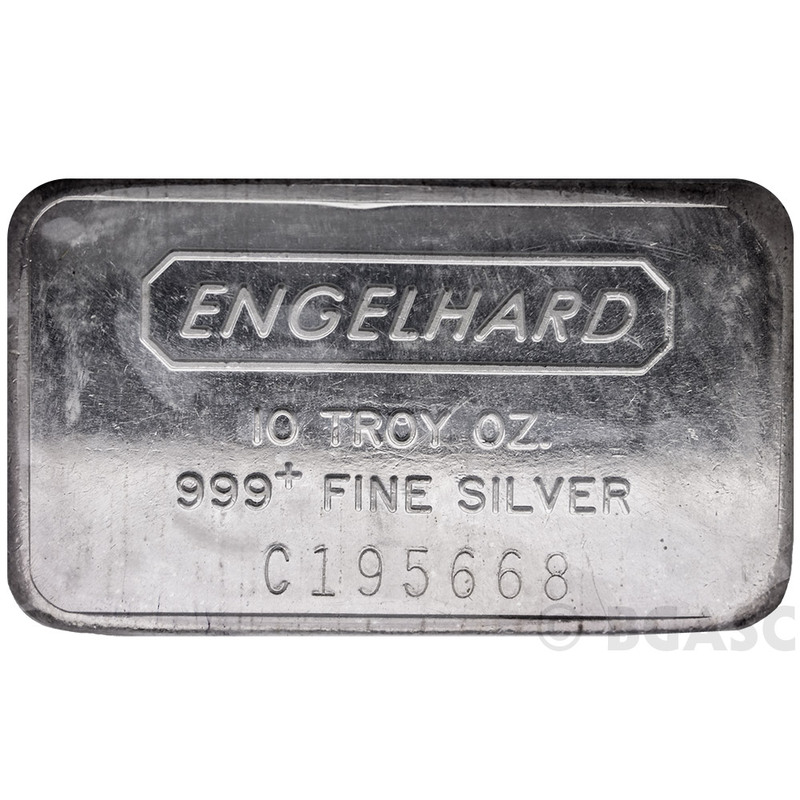 This 10 oz landscape-oriented Struck Engelhard Silver Bar is stamped on the front with a top-aligned Engelhard hallmark logo, weight, fineness, and unique serial number. 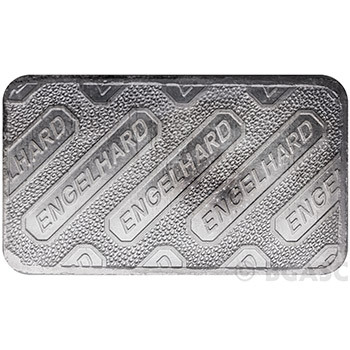 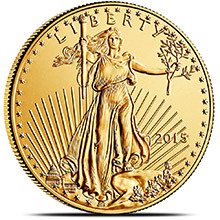 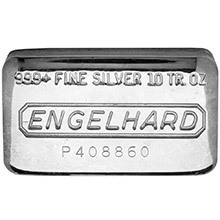 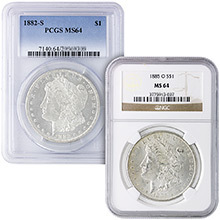 The reverse has a repeated, angled Engelhard logo pattern with pebbled background. 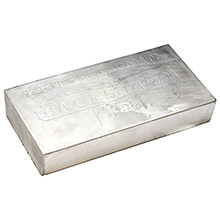 These silver ingots are approximately 2-5/8" W x 1-1/2" H x 1/2" Thick. 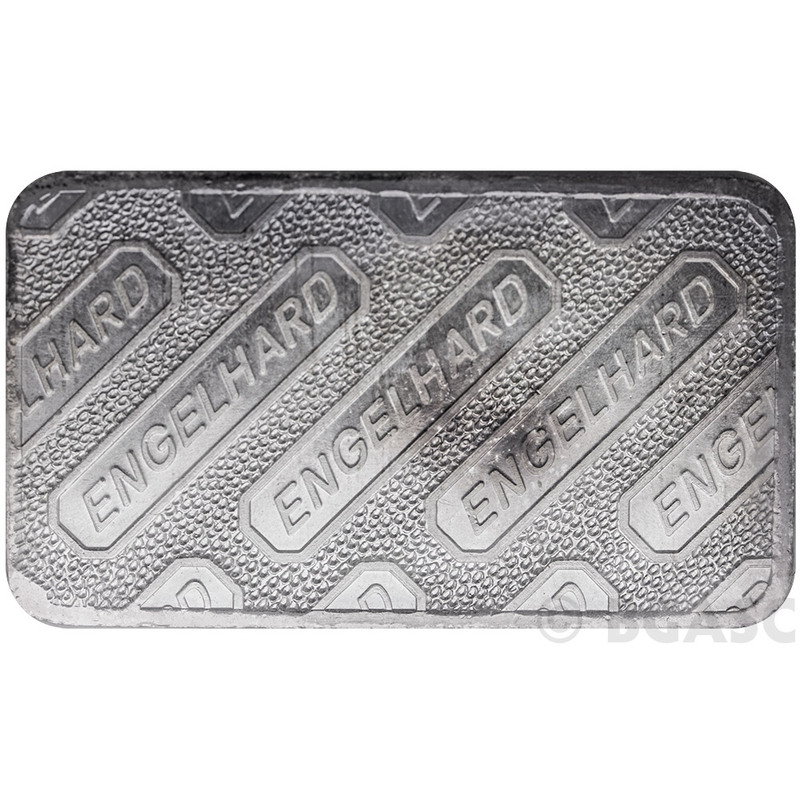 You will receive a P-Series or C-Series bar of our choosing which come in individual plastic. 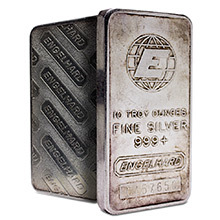 These secondary-market bars will be selected at random from our available inventory and may contain light contact marks.